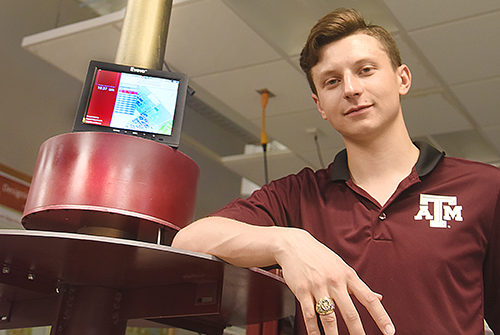 Bryton Praslicka '19 is developing a prototype technology that will provide live updates on Texas A&M bus arrivals and delays as well as allow students to charge their phones while waiting. Texas A&M University engineering student Bryton Praslicka ’19 sees the future—and it’s sustainable. Although originally from a small North Texas town, Praslicka’s study abroad travels have taken him around the globe and revolutionized his worldview and interpersonal relationships. His global experiences also sparked an interest in green engineering. After completing his freshman year and meeting with professors in both the electrical and nuclear engineering departments, Praslicka fell in love with electrical engineering and how it can be used with renewable energy systems to foster an eco-friendly mindset. Today, he’s working on a project that would add 10 smart bus stops to Texas A&M’s campus. Praslicka’s passion for sustainability and green engineering began through his participation in the Halliburton Engineering Global Program, a study abroad program within the College of Engineering. Funded by a $5 million endowment from the Halliburton Foundation through the Texas A&M Foundation, the program allows students to gain international experiences in their field of study. Praslicka studied abroad three consecutive times and visited 19 countries over the course of 219 days in 2017. After completing an exchange program in Doha, Qatar, he backpacked through Jordan and Croatia before studying engineering ethics in Tuscany and electrical engineering in Aachen, Germany. While traveling, Praslicka encountered innovative means of sustainable living that opened a world of possibilities for him. 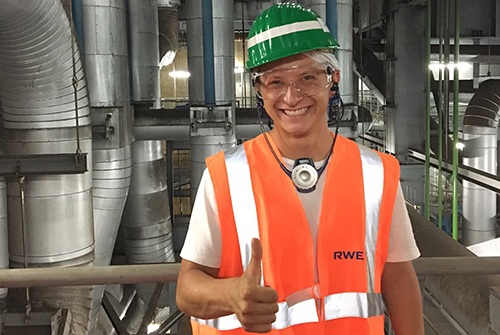 “I witnessed next generation solar panels with novel applications in Doha and experienced how a sustainability-minded country operates during my time in Aachen,” he explained. Bryton's interest in sustainable engineering heightened during his study abroad trips, where he visited 19 countries over the course of 219 days. He's pictured here in Aachen, Germany, where he studied electrical engineering. Inspired by what he saw, Praslicka reached out to Rodney Boehm, Texas A&M’s director of engineering entrepreneurship, to see if he could shadow a green engineer. Instead, Boehm introduced him to the Aggie Mini Power Station project. Started by fellow students a few years back but left uncompleted, the Aggie Mini Power Station was an isolated, solar-powered energy station designed to serve as a campus charging station for students’ electronic devices (such as phones) without drawing energy from other Texas A&M facilities. Repurposed, the Aggie Mini Power Station became the foundation for Praslicka’s self-led sustainable engineering endeavor: Smart Bus Stops. A reimagination of a classic idea, Smart Bus Stops are only one of the ways in which innovative technology is merging with and improving everyday life. If implemented across campus, these solar-powered devices will provide live updates on bus arrivals and delays as well as allow students to charge their phones while waiting. The technology works through a solar panel installed at the top of an existing bus pole, which absorbs energy that charges a battery pack (the Mini Power Station). 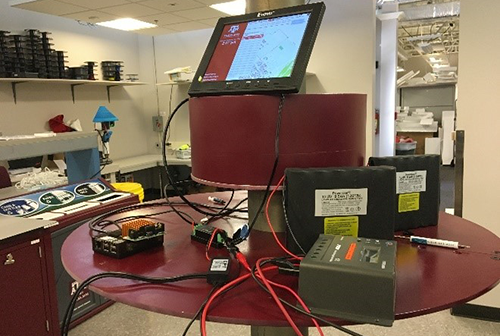 The battery then charges the entire Smart Bus Stop, allowing the system to run even when the sun isn’t shining. To complete his project, Praslicka is looking for support from the Aggie Green Fund, a grant-making organization for sustainability projects at Texas A&M. With an advisory committee composed of students, staff and faculty members, the Aggie Green Fund works to bring creative and direct environmental improvements, such as the Smart Bus Stops, to campus. The organization has helped bring about many recognizable efforts on campus, including water bottle filling stations, exterior recycling bins and green bike lanes. Bryton began developing his Smart Bus Stops prototype after picking up the project from Rodney Boehm, Texas A&M’s director of engineering entrepreneurship. Praslicka, who has been involved with the organization since last year, is serving as its information chair for the 2018-2019 academic year, where he will be the primary point of contact for those interested in applying for grants. For a proposed project to be accepted for a grant, it must directly address sustainability through publicity, education and outreach. It must also combine student learning with beneficial student services while providing environmental benefit. Praslicka will present his proof-of-concept prototype of the Smart Bus Stops in hopes of winning a grant. A major reason Praslicka can devote so much time to his project is because he is the recipient of a Terry Foundation Scholarship, given by the Terry Foundation through the Texas A&M Foundation. 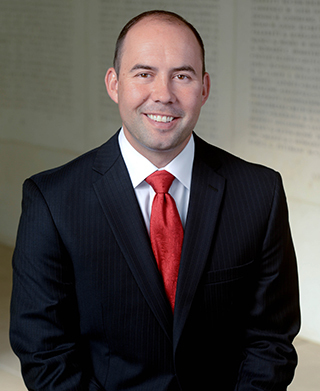 The scholarship has proved invaluable in his entrepreneurial ventures. “The Terry Foundation Scholarship was the reason I began to think about traveling abroad, and it’s enabled me to have time to pursue the Smart Bus Stops project since I don’t have to worry about my finances,” he said.